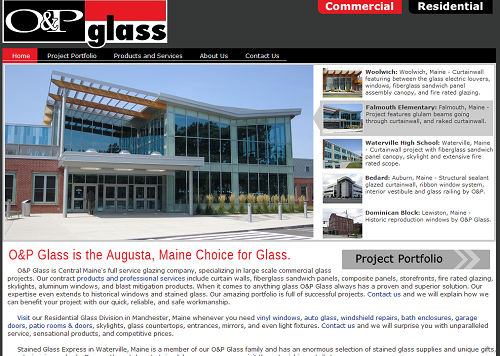 O&P Glass is one of the largest commercial glass subcontractors in Maine. In addition it has a residential glass division that sells and installs vinyl windows, auto glass, and dozens of other products. On their old site these conflicting product lines were presented together, often confusing visitors about the focus of the business. 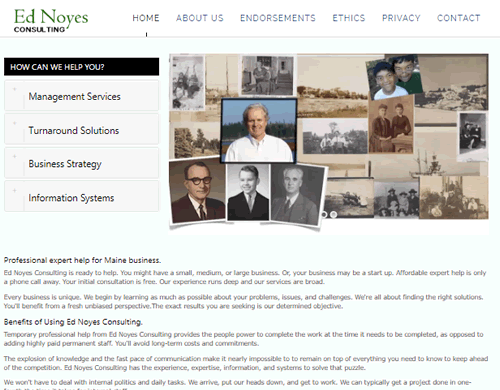 The client wanted to boost visibility and present a more professional website to potential contractors in order to attract more opportunities to bid on projects in Maine. The solution was to create a new site with distinctive divisions showcasing the products and services aimed at contractors on one side and residential customers on the other. We also chose a new keyword domain name to locate the site files with a redirect from the old site. This with some other SEO measures instantly boosted the business in search engine results. Emmy Award winner Barbara Jordan has written songs used in popular TV shows and movies, including CSI:NY, Star Trek: Enterprise, Friends, ER, The X-Files, Being John Malkovich, Before the Devil Knows Your Dead, Dreamcatcher, Jackie Brown, and many more. 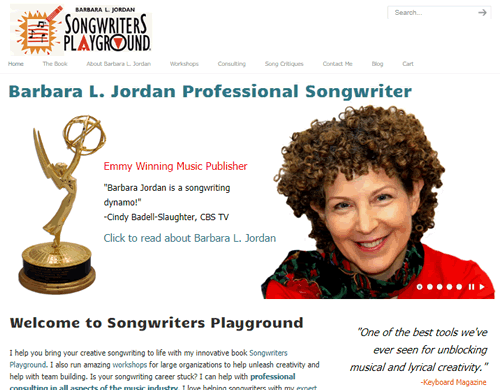 She also wrote the popular book "The Songwriters Playground" to inspire creative songwriting. She's taught at Berkley School of Music. She leads workshops around the country, consults with songwriters, and critiques songs. Here website is designed to promote her book and help potential clients learn more about her services. 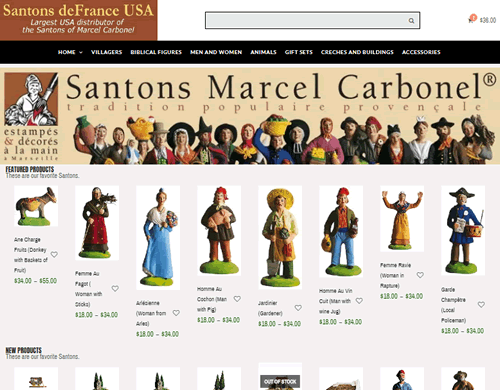 Santons deFrance USA is the largest distributor of the santon collectables made by Marcel Carbonel. Carbonel is the foremost craftsman in the centuries-old tradition of hand-made santons. The client was dissatisfied with its out-of-date website that had powered their growth for years. It was difficult to manage and the images did not represent the fine workmanship of Marcel Carbonel. Furthermore the images were not differentiated in the various size options. Another problem was that the old site did not accept credit cards securely, forcing customers to use PayPal as the only checkout option. Adding a sense of urgency, a new competitor was making inroads with a cleaner site, better SEO, and smart use of social media. The solution was to create a new site to better showcase the product line, to enhance usability, and to improve visibility. The site was created using responsive design to make sure it rendered properly, regardless of the users device. New images were obtained from Marcel Carbonel and secure credit card processing was added, using a new online shopping cart. As the project progressed, SEO techniques were incorporated and new Facebook and Pinterest pages were created and linked to the site. 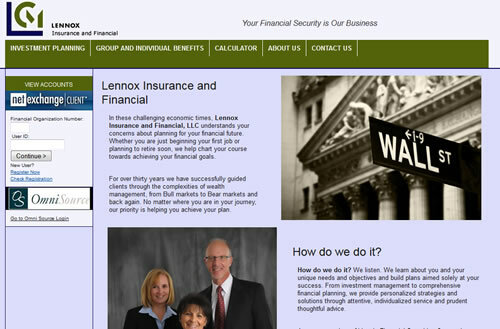 Lennox Insurance and Financial provides investment planning services along with group and individual insurance and benefit programs. The site provides fast access to self-service client accounts. It also gives easy-to-follow links to relevant information on external provider websites. One challenge was to embed a secure log-in feature on the home page to take clients directly to their remotely hosted investment accounts. Since they are licensed financial advisers the site also had to meet strict regulatory guidelines. Stained Glass Express is one of the nation's largest distributors of stained glass and supplies. In business for 25 years the company needed to revamp and upgrade its website to incorporate advanced SEO features and better showcase its many products and services. Furthermore the database used by the old website was out of sync with their retail POS system. Thousands of products had to be brought in line to establish consistency between the two main channels. The project required launching the new site in parallel with the old site. We had to create new content, transfer email and customer accounts, and migrate data. 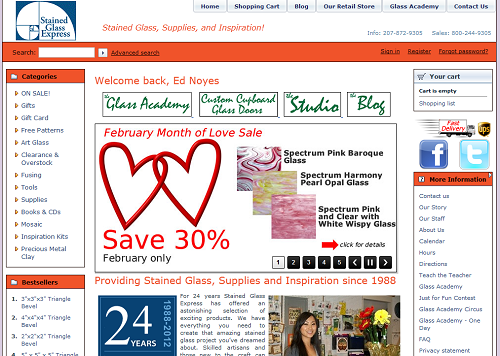 The site runs on X-Cart e-commerce software and includes calendar and slideshow elements. The site is used to announce events and classes in addition to regular product promotions. 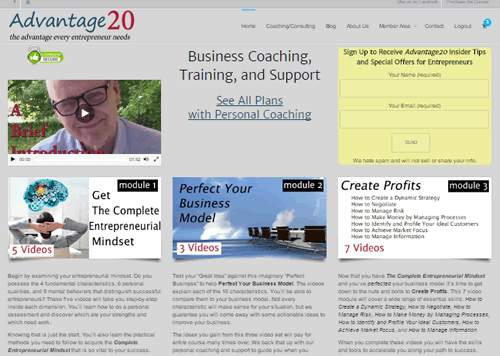 Advantage20 is an online course created to help entrepreneurs and small business owners with training, coaching, consulting, and support. The course includes 20 videos in five modules that provide insights to help new and experienced entrepreneurs achieve the success they seek. The site was designed to promote and sell the course and to provide password protected access to the content. The Advantage Blog covers topics related to business and success. 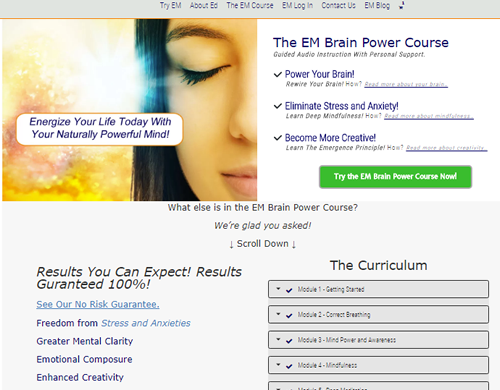 EM is an online course created to help you refresh and restart your life with a comprehensive step-by-step program. Lessons include mindfulness, meditation, maximum relaxation, mind power, directed mental force and more, all optimized using the transforming principle of emergence. The site was designed to promote and sell the course and to provide password protected access to the content. The EM Blog covers topics related to the mind and brain, including recent developments in neuroscience. 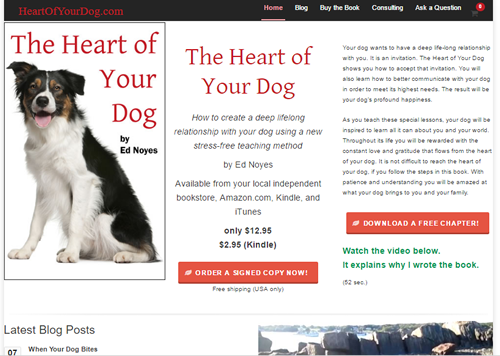 "The Heart of Your Dog" by Ed Noyes is a book that describes how to create a deep lifelong relationship with your dog using a new stress-free teaching method. The site was designed to promote and sell the book. It also features a blog by the author that comments on various topics related to dogs with an appreciation of their higher needs. Meeting those higher needs is the path to reaching your dog's heart.